NowNotes is a great Companion to textbooks for any nurse. Whether you are a current student, or a veteran. NowNotes is an invaluable asset to your reference collection. NowNotes is a great Companion to textbooks for any nurse. Whether you are a current student, or a veteran. NowNotes is a invaluable asset to your reference collection. 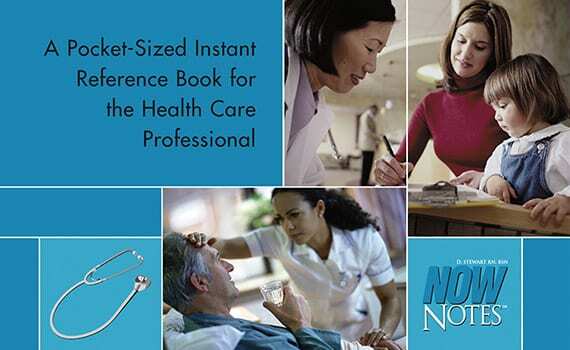 NowNotes is a pocket-sized, tabbed reference book that gives you immediate information on vital signs, abbreviations, drug calculations, isolation/neuro, lab values, EKG, respiratory and more. Imagine finding the answers to basic everyday questions in the palm of your hand. Whether you’re a medical professional making critical decisions on the job or a student in need of a quick reference guide, NowNotes is an indispensable tool. Since being published, NowNotes has become a widely used and respected reference guide especially among nurses and nursing students. The NowNotes compact design and tabbed sections make it easy to use and enables you to keep it with you wherever you go. When you need vital information quickly, reach for NowNotes. This pocket-sized, tabbed reference book gives you immediate information on vital signs, abbreviations, drug calculations, isolations/neuro, lab values, EKG, respiratory and more…. 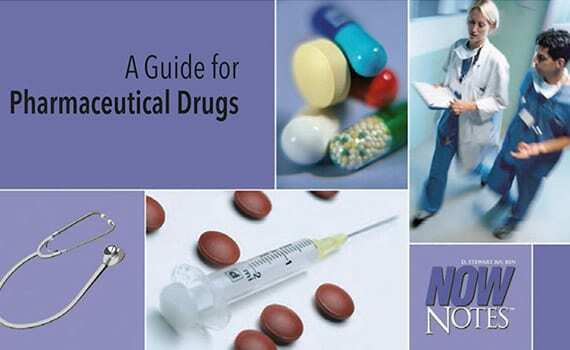 This reference book focus on medication guidelines as well as herbal medication guidelines and medical compatibility…. © 2018, Now Notes. All Rights Reserved.